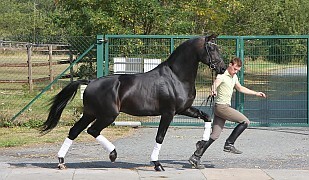 Very beautiful dark brown Oldenburger premium filly by Jazzman/Sandro Hit with spectacular movements and an impressive neckline like a stallion. This filly also has an outstanding dam line. Her dam and granddam are both elite mares. Grand dam . 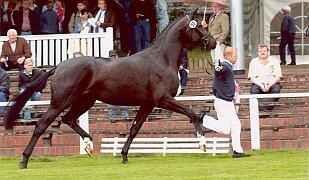 Her dam’s credentials are equally as impressive: 1a State Premium Mare, 1c federal mare show, winner of her mare performance test in dressage and jumping, placed in the finals of the Championship of Dressage Horses in Bavaria. 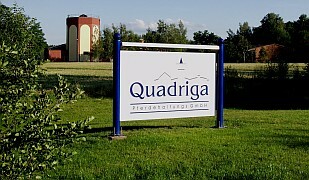 Her brother is nominated for licensing and the Oldenburger Elite Auction. 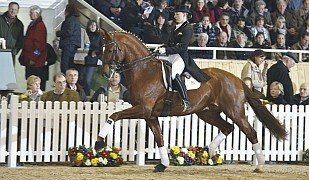 He was also winner foal for the qualification for the German Foal Championship. 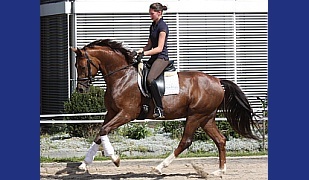 Sister to her dam produced 2015 the vizechampion filly on the german foal championship. 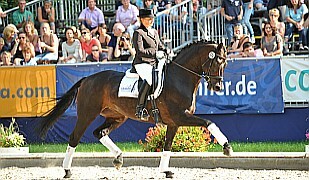 Bundeschampionships, World Championship of Dressage Horses, numerous licensing winners, progeny winning in Grand Prix and successful in World Cups. This amazing filly with her exceptional quality, talent and pedigree is destined to excel in sport and breeding!